Lionel De La Fuente Jr.
Fire Dept: Harlingen Fire Dept. 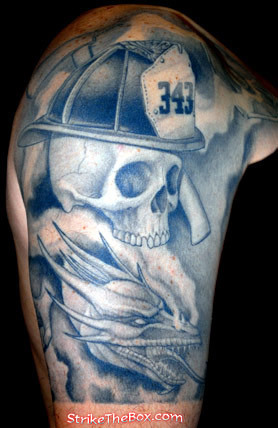 Description: Had always wanted a tattoo for my profession and after 911 the mural was born. Lots of planning and scanning and the result is a black and grey half sleeve.